AWWWWWWW maybe she’s posting it to you! Question! How do you set up to take your photos? If you scan them, how come the reflective characters don’t come out weird and rainbow-y? Answer! I scan them and haven’t had too much trouble with reflective stuff so far. Sometimes shiny things come out too dark in the scan. If it looks odd I might try it at different angles. It makes a big difference! SPOILER ALERT: It’s for Pauline. Haaaa, Colin’s expression! It’s perfect, how do you do that? 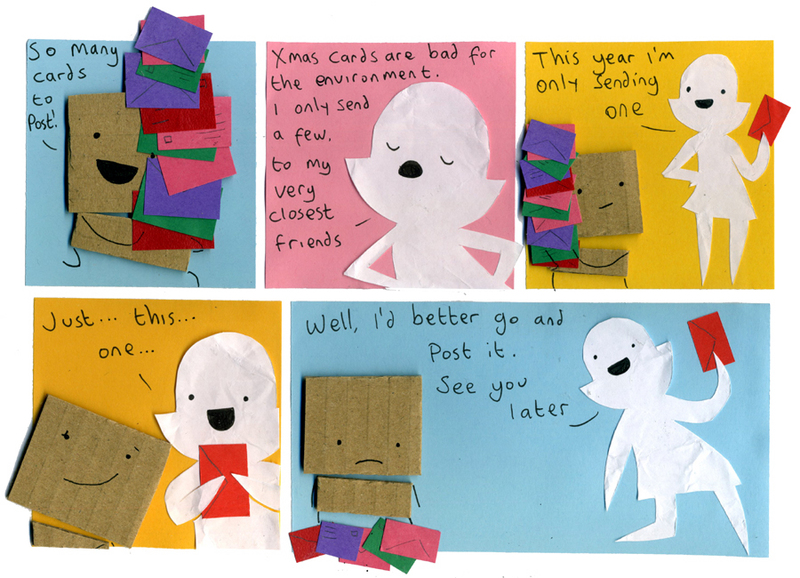 Don’t worry, Colin, we’ll send you cards ! Poor Colin! I’ll send you a card!